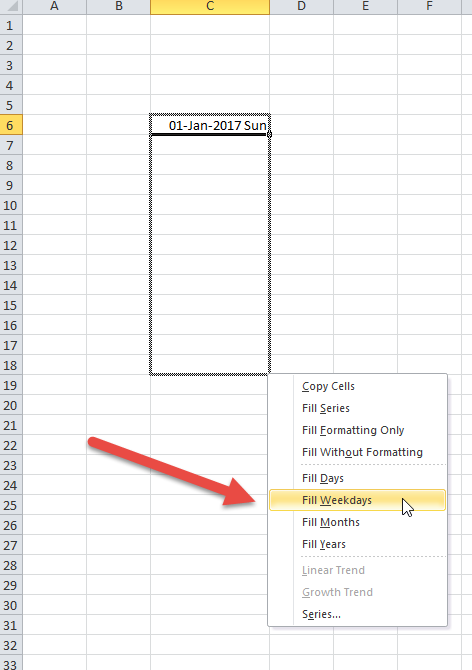 Creating a listing of dates is a common Excel requirement. 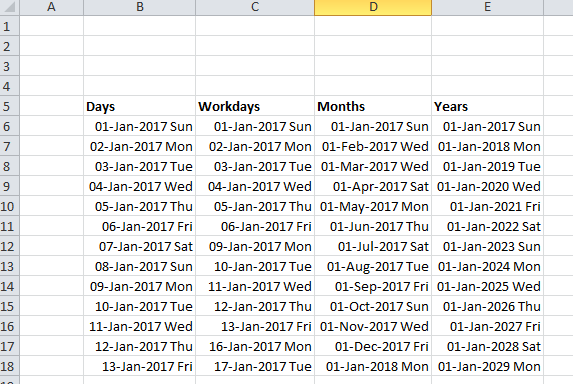 You want to enter the first date and then drag down so that it fills in the next dates. 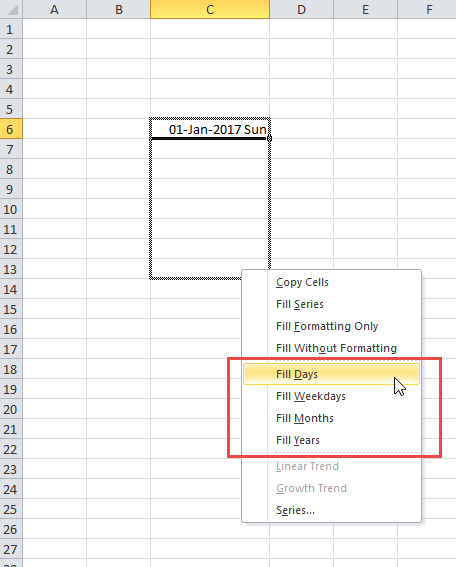 But what if you want it to only fill a date series in Excel which contains workdays only? BUT you right click and drag down. 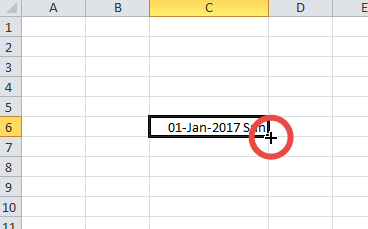 As you drag down you will see that it will suggest consecutive dates. When you let go this will appear. Note that you have a number of choices. 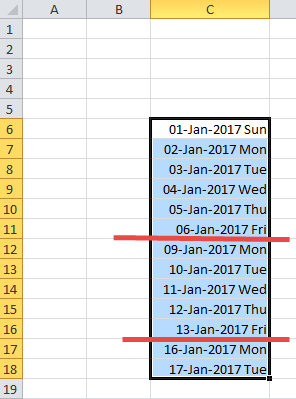 If we choose Fill Days then it will just follow consecutively. The end result is as follows. Note that at the Friday it skips the weekend and goes straight to the Monday. If you choose one of the other options it would create that series. 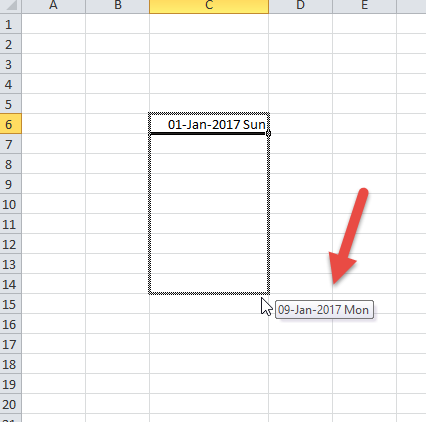 Using the same start date below we show what each would look like i.e.